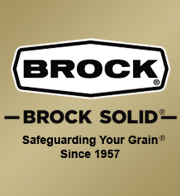 A standardized control box is used with all Brock GUARDIAN® Series fans. Controls are specifically matched to each fan unit. Control boxes are made of durable polycarbonate and include a hinged translucent cover. Control housing is weather-, dust-, and rodent-proof. Features standard GE DIN-rail mounted controls. Adjustable overload protection is included.